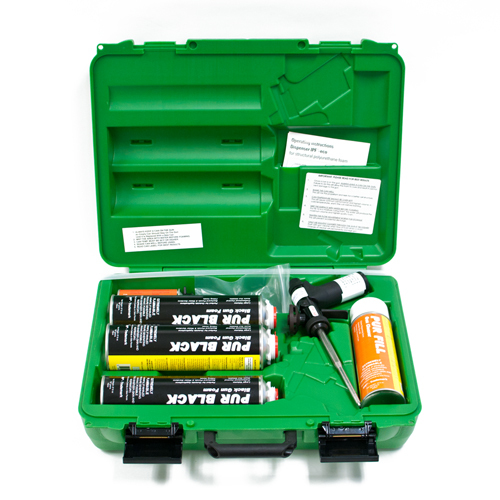 Foam Gun kit w/ Green Plastic Molded carrying case includes the following: 1 Pageris 12" foam gun 3 cans (32 oz.) 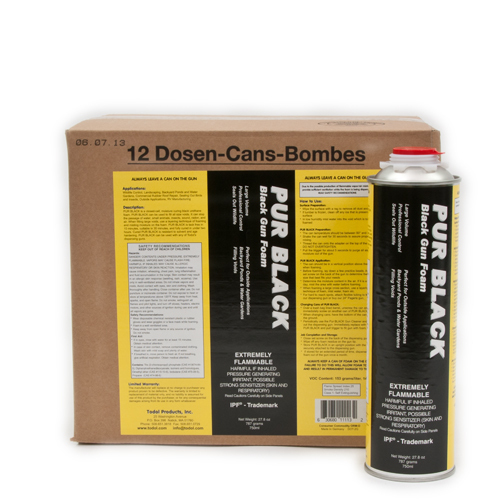 of Pur-Black foam 1 full size screw-on foam cleaner 1-5 oz. Pur-Clean 6 needle adapters 1 flexible plastic tube This foam gun kit is a "must-have" for anyone doing exclusion work.